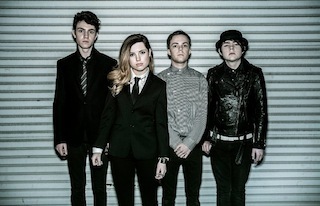 Los Angeles-based alt-pop quartet Echosmith have announced details of their new album. The band's debut full-length will be titled, Talking Dreams and is scheduled to be released October 1st via Warner Bros Records. In support of the announcement, Echosmith released a music video for the title-track for their debut LP, which can be viewed below.